I don’t know about you, but trying to keep my Instagram on-brand every time I post feels so overwhelming sometimes. Thinking about the image quality, whether it fits your colour palette, what the content is, how it will look on the feed and on your page, and what the HECK to write as a caption, can all just feel like too much, but it doesn’t have to be. 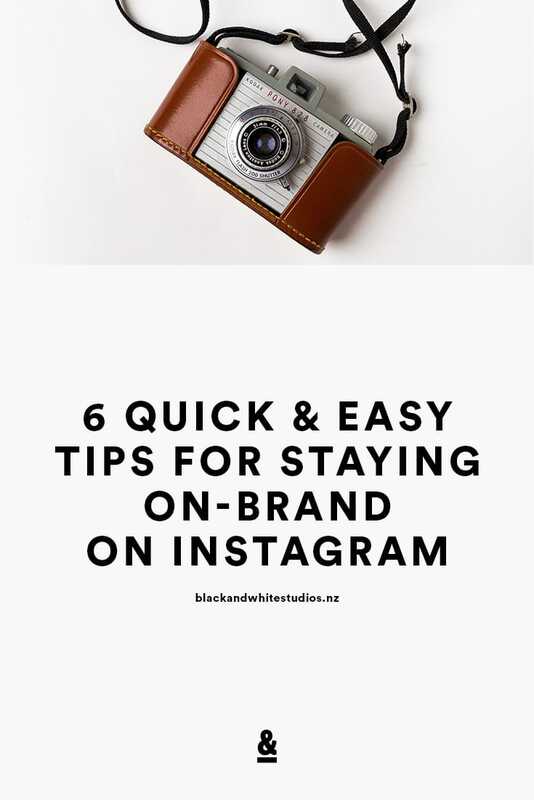 When you’re trying to run a business and have a million and one other things on your mind, Instagram should be the least of your worries, so here are 6 quick and easy tips to help you stay on-brand on Instagram. This is my number one tip for good reason – it’s saved my sanity so many times! As a branding designer, I could stress forever about finding the perfect image, and it has definitely stopped me from posting more often than I’d like to admit, until I started doing this. I take some time every once in a while to find stock photos or take some of my own and pop them into an Unsplash Gallery or Google Drive Folder that I know are in my colour palette, are the style of photography I like, relate to my content, are good quality and will ensure that I stay on-brand. 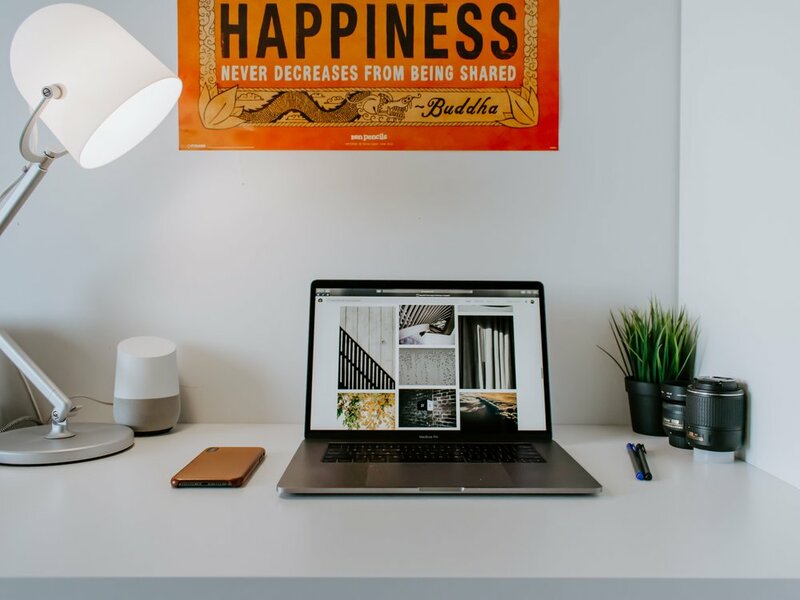 Whether you create an Unsplash Collection, curate a Pinterest board, or just download images to a folder on your phone or computer, having ready-to-use images will make your job so much easier when it comes time to post! Okay, so you’ve got an image, but what on earth do you say? Don’t panic – just like the images, preparation is key, and having a cheat sheet on hand will change your life! Grab your go-to phrases, favourite emojis, popular snippets and must-include words and pop those bad boys in a Google Doc, Trello board, or note on your phone, and you’re good to go! You can even pre-write captions and save them to share later once you find their perfect picture partners. We’ve all done it – realised you haven’t posted yet, panicked, and posted something just for the sake of posting. Chances are, this content isn’t your best work and doesn’t represent your brand as well as they could, so we need to avoid panic posting at all costs. Setting aside an hour a week to schedule my posts in Buffer saves me those hours of time throughout the week stressing about what to post. I use Buffer but you could use Later, Hootsuite or any other software that allows you to schedule Instagram posts. That way, instead of sharing last-minute, mediocre content, you can plan ahead, strategise and post the quality content that your brand deserves! I don’t know about you, but alongside working on branding projects, replying to emails, meeting clients, sending contracts, creating blog content, and all the other things that go into running a business, I don’t really have the time or the patience to be creating graphics from scratch unnecessarily. Thankfully, I don’t have to, and neither do you! There are some social posts like quotes, testimonials, blog post promos and others that you’ll probably find yourself using over and over again and just tweaking each time, so why not make a template to streamline this process?! If you’re savvy with Adobe Creative Cloud, you can create a template using the software of your choice, otherwise something like Canva can be your go-to design tool. Again, remember to use your brand colours, fonts, patterns and images to ensure you’re on-brand from the start, and if you get stuck, reach out to a designer who can help you or create a template for you! This might seem super obvious and basic, but you’d be surprised how many people don’t do this! Consistency is key to any successful brand and your social media profiles are no exception. According to Lucidpress, brands that are consistently presented are 3 to 4 times more likely to experience brand visibility, so I’m not kidding when I say that something as simple as keeping your profile photo and bio consistent will make a huge difference to your business. Not only does this make the experience for your audience that much better, it makes things a heck of a lot easier for you! There’s no need to spend time and energy writing a different bio or creating a new image for each platform, just copy and paste away! Instagram continues to add more fonts, GIFs, stickers, buttons and other features to Stories, but with great power comes great responsibility. Sure, we have all of these options at our fingertips, but be sure to use them wisely. Choose a style or two of font that works best for your brand and a succinct, on-brand colour palette to use for those fonts and you’ll have your own mini Instagram brand guidelines for every time you post. For example, I always use the typewriter font, and stick to my brand colours of orange, black, grey and white. Choosing story filters can help them feel more cohesive too – I often use Tokyo (Black & White) and pop some orange text and a few gifs on top and that’s my recipe for success! Boom, with these six steps you’ll be on-brand, every time. I challenge you to go and try out the one that speaks to you the most and let me know the results! Did it make things easier? Faster? Better? Leave a comment below, tag me on Instagram, or tweet me – I can’t wait to see how you get on! Enjoy this article and find it helpful? Pin this image on Pinterest so you can come back to it anytime! Hollie is the founder, designer and all-round girl boss of her one-woman studio, Black & White Studios, as well as writing and vlogging at holliearnettdesign.com, and hosting Design Assembly Wellington.